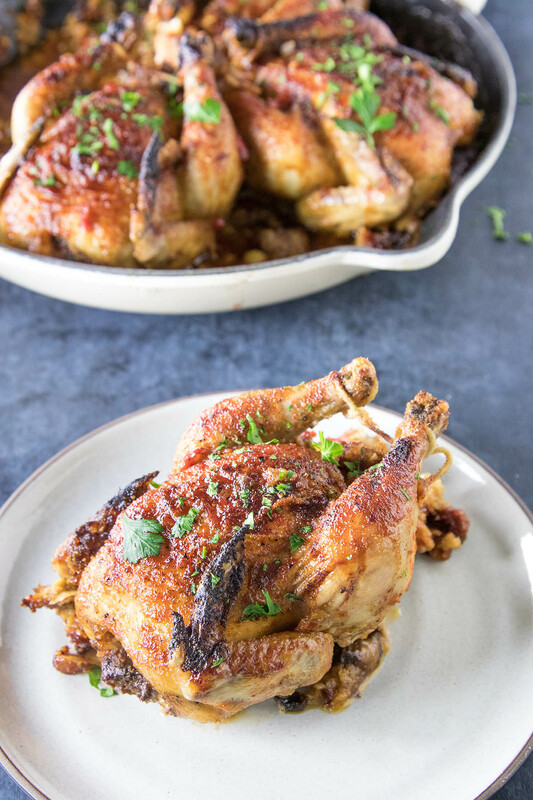 A recipe for Cornish hens filled with savory sausage-panko stuffing, glazed with honey and soy sauce whisked with spicy sriracha. A perfect meal for special occasions. We’re cooking with Kikkoman® for the holidays in the Chili Pepper Madness kitchen, my friends, and it doesn’t get much better than this. 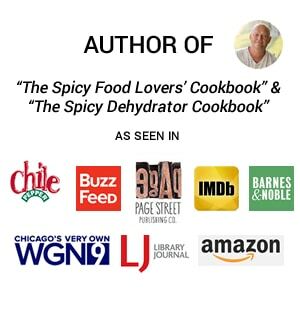 You might think of Kikkoman® for only Asian sauces and marinades, but truly, I use their products all the time for my dishes. 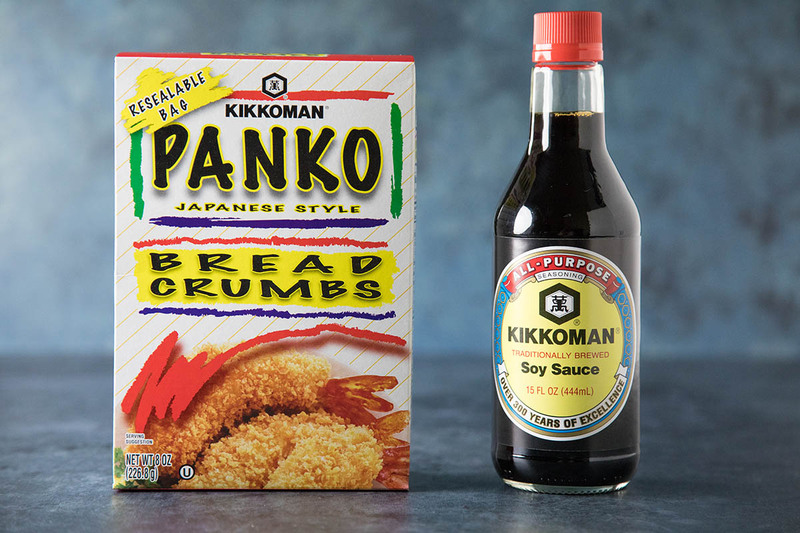 I enjoy Kikkoman® Soy Sauce to enhance the umami of the meal, as well as Kikkoman® Panko Japanese Style Breadcrumbs as the perfect thickener. They’re just the thing for our stuffing. This recipe is inspired by Kikkoman®. Click here for more holiday inspiration. 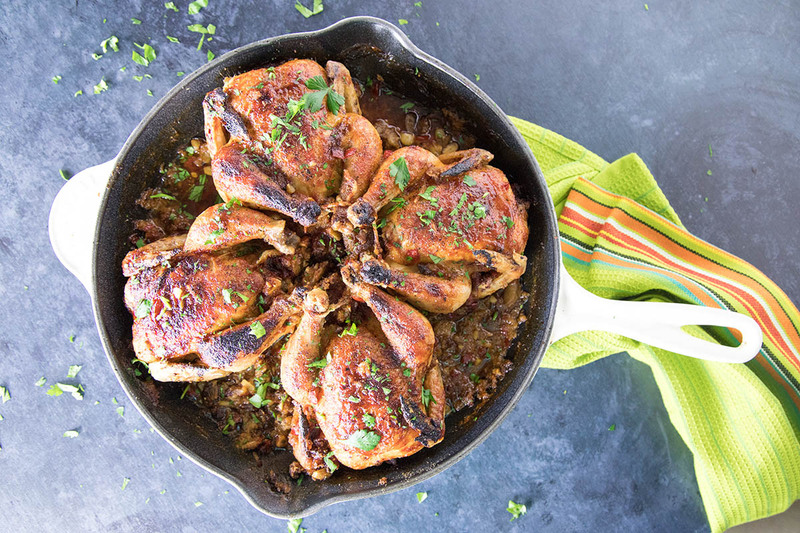 When I think of more intimate holiday celebrations, I think of Cornish hens. You see a lot of turkey during the holidays, but turkey is for larger crowds. 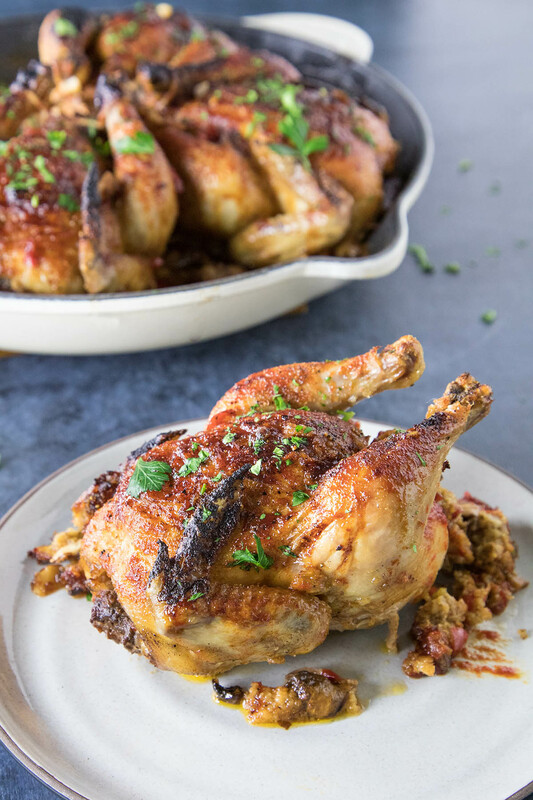 When I want to serve more individual portions of meals, with a nicer presentation, something a bit more personalized, I opt for Cornish hens. 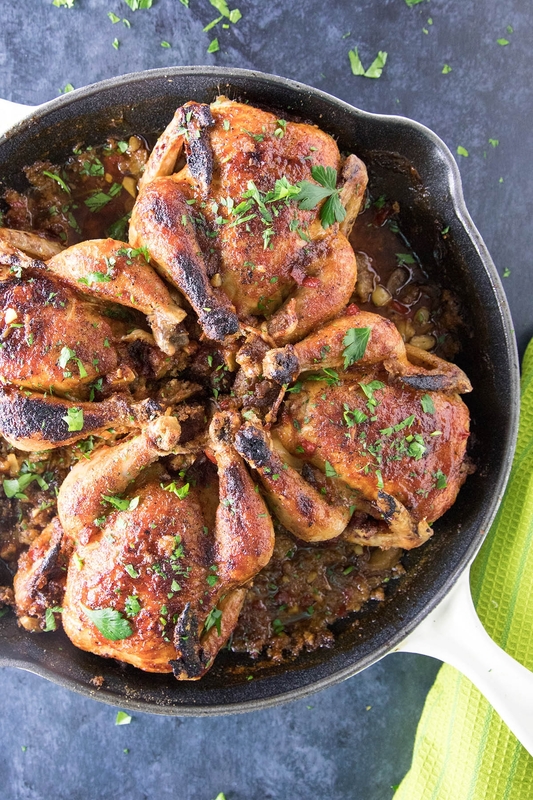 We’re making Honey-Soy Glazed Cornish Hens with Sausage-Panko Stuffing. 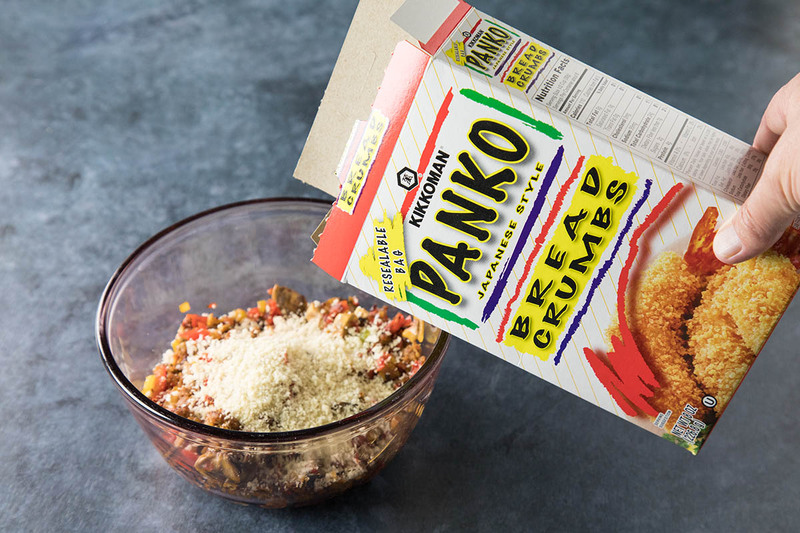 And, to make this meal truly special, I’m using Kikkoman® Soy Sauce and Kikkoman® Panko Bread Crumbs. 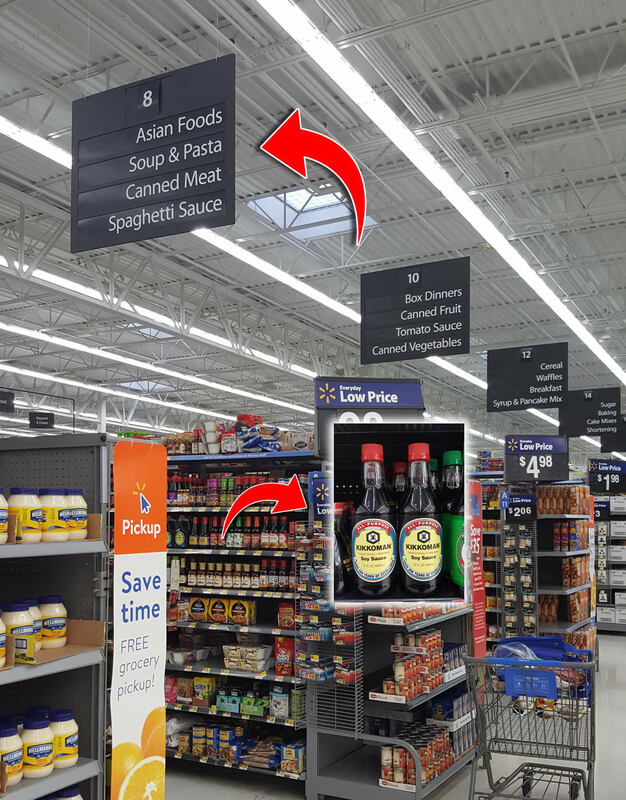 I purchased my Kikkoman® products at my local Wal-Mart. Here’s a shot to help you find them. Since I’m making this meal for 4 of us, I also picked up 4 Cornish hens and everything else I needed. 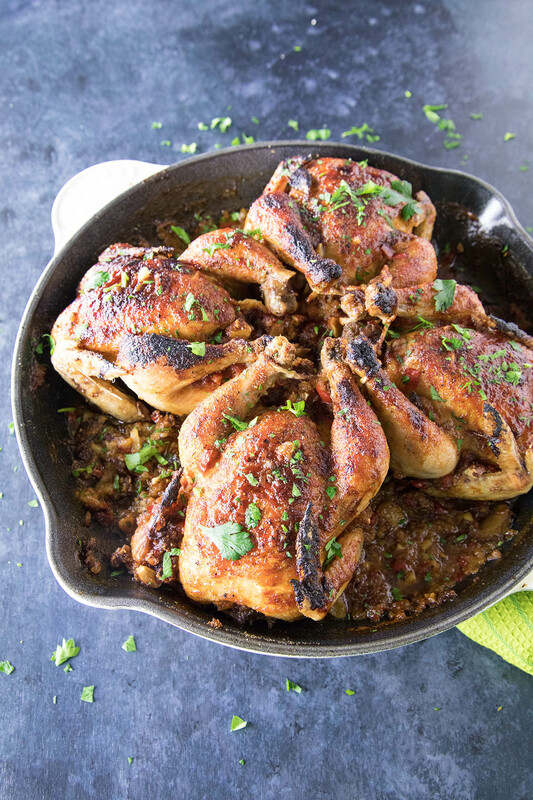 Cornish hens are quite small compared to chicken, about 1-1/4 pound on average, so a single hen is about right for a serving. The meat is very tender, and richly flavored with our glaze of sweet honey and traditionally brewed Kikkoman® soy sauce. 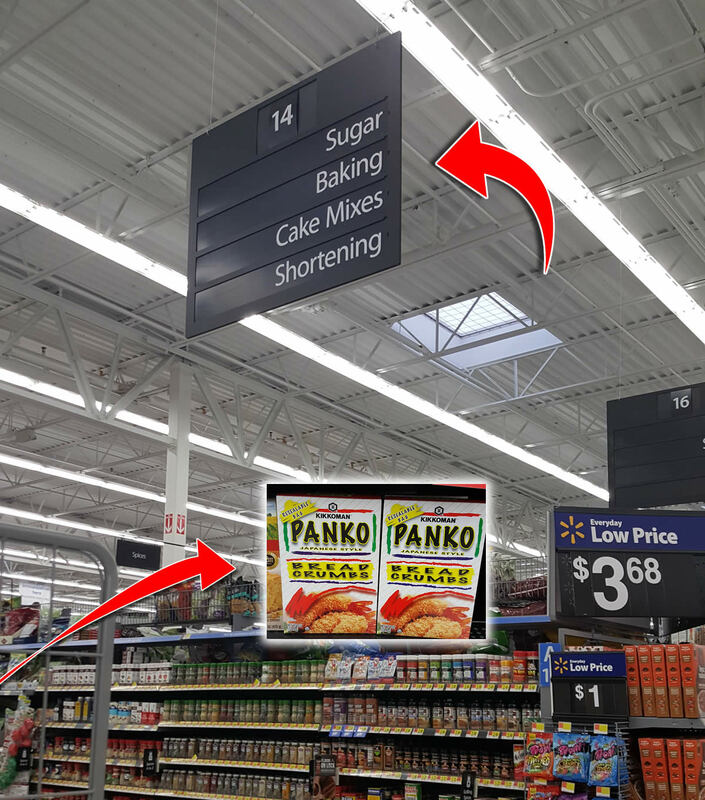 So let’s get cooking, right? The process is easy enough. First, we’ll make our stuffing by cooking up our spicy sausage, peppers, celery and onion in a pan. Once they’ve softened, in go the mushrooms to cook those down a bit. Cool the lot, then stir in the almonds, Kikkoman® Panko Bread Crumbs, sage and broth. Give it a good mix. Stuffing achieved! Next, heat the oven to 350 degrees F.
Spoon the stuffing into the hen cavities. Do not overstuff them, but keep the stuffing fairly loose. Set the stuffed hens into a large baking pan. Brush them with butter and season liberally with salt and pepper. Set them into the oven and bake for 1 hour. 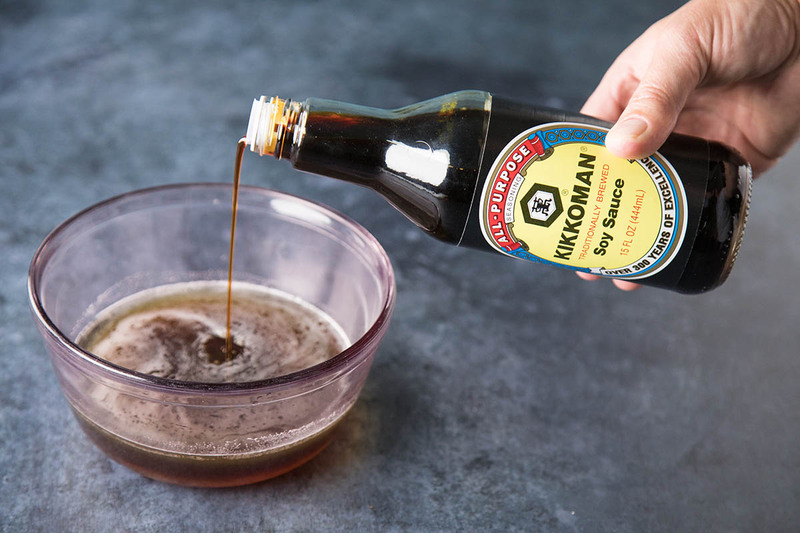 While the hens are baking, make your glaze by whisking together the Kikkoman® Soy Sauce, honey, brown sugar, sriracha, lemon juice and a bit of salt and pepper. Pour into a pan and bring to a quick boil. Reduce the heat and simmer for about 15-20 minutes, then remove from heat and cool to allow it to thicken up. 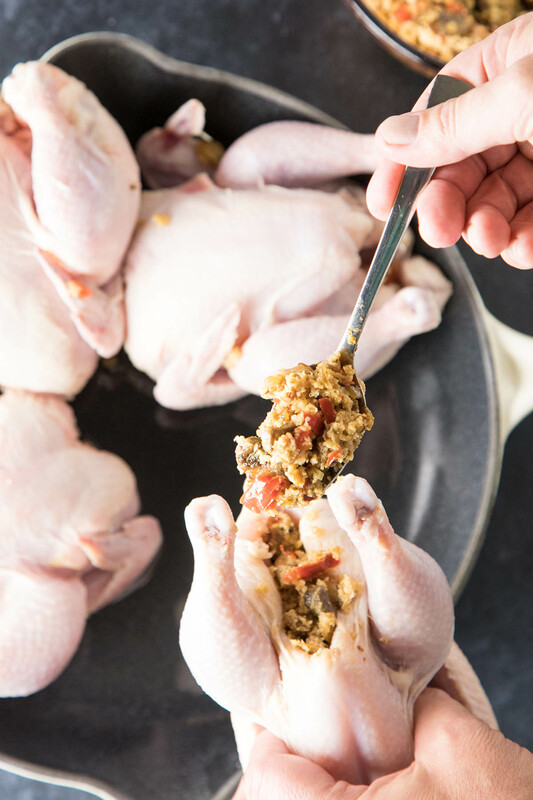 After the hens have cooked for 1 hour, spoon the finished glaze over them and return to bake for another 15 minutes, or until their internal temp measures 180 degrees F.
Sprinkle with fresh herbs and serve them up! 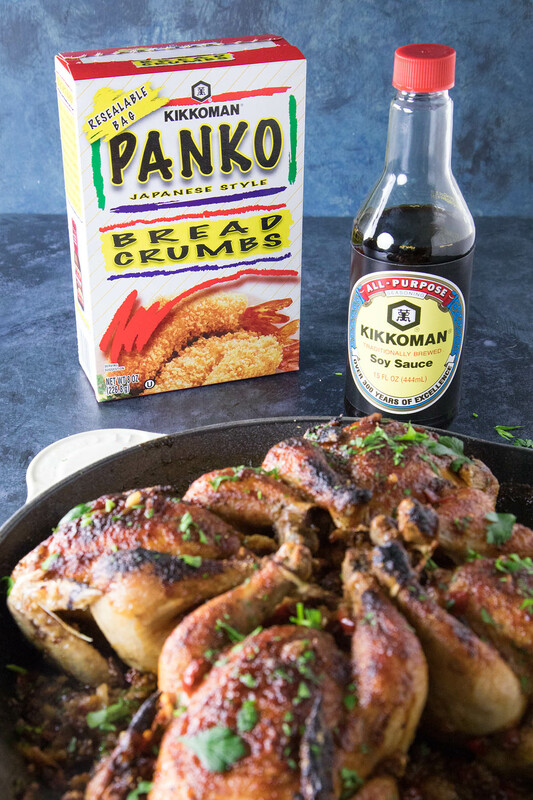 Get your Kikkoman® Soy Sauce and Kikkoman® Panko Bread Crumbs to make this recipe for the holidays. This recipe is inspired by Kikkoman®. Click here for more holiday inspiration. 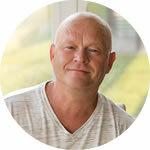 Visit the Kikkoman® site today to learn more about their products. http://www.KikkomanUSA.com. Patty’s Perspective: This is like a mini Thanksgiving dinner. This is a tasty easy meal for 2, 4 or a small group. It makes me realize you can have that flavor anytime of the year. Why wait for the holidays? Make the stuffing first by heating a large pan to medium heat. Add olive oil and swirl to coat the pan. Add the sausage, peppers, celery and onion and cook them about 7-8 minutes to soften them up. Break the sausage apart with a spoon. Add the mushrooms and cook them down another 5 minutes or so, stirring. Cool slightly and add the mixture to a bowl. Stir in the almonds, panko, sage and broth. Mix well. Spoon the stuffing into the hen cavities. Do not overstuff them, but keep the stuffing fairly loose. Set them into a large baking pan. Brush the hens with butter and season liberally with salt and pepper. Set them into the oven and bake for 1 hour. While the hens are baking, make your glaze by whisking together the Kikkoman® Soy Sauce, honey, brown sugar, sriracha, lemon juice and a bit of salt and pepper. Pour into a pan and bring to a quick boil. 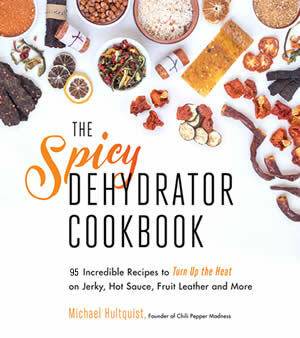 Reduce the heat and simmer for about 15-20 minutes. Cool to allow it to thicken. 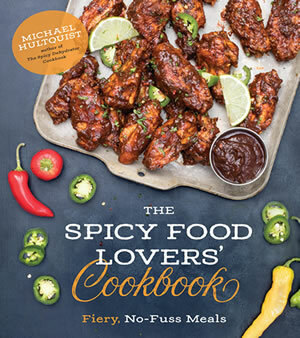 I’ll be making this. ?